Focused on terrestrial gastropods, more commonly known as land snails, a joint team of biologists from the Natural History Museum of Stuttgart, Germany and the Zoology Museum of São Paulo, Brazil, have been researching the Brazilian caves. In their latest paper, published in the journal Zoosystematics and Evolution, the scientists describe the fauna from several caves in central Brazil, including a new tiny species named after a character from the popular fantasy tabletop role-playing game Dungeons & Dragons. The team of Dr. Rodrigo Salvador, Daniel Cavallari and Dr. Luiz Simone encountered a rich assembly of species, several of which measured as much as a few millimetres. However, apart from filling important gaps in the knowledge of these tropical animals, they went even further, having discovered a land snail new to science. While it is not uncommon for studies dealing with the invertebrate fauna to end up describing new species, this minute mollusc (nearly 2 mm in length) attracted extra attention. The team which discovered the mollusc has named it Gastrocopta sharae, after Shar, the goddess of darkness, caverns and secrets in Dungeons & Dragons. Nevertheless, this is not the first time that Dungeons & Dragons has been immortalised in a species’ scientific name. In 2014, the very same team described another tiny snail, this time, one with a taste for deep waters, specifically those of the Atlantic Ocean. The scientists named it Halystina umberlee, after another Dungeons & Dragons goddess – Umberlee, who commands the harshness and perils of the sea. The tropical snails are still poorly understood, although they are one of the most threatened animal groups – both by human activities and environmental changes. 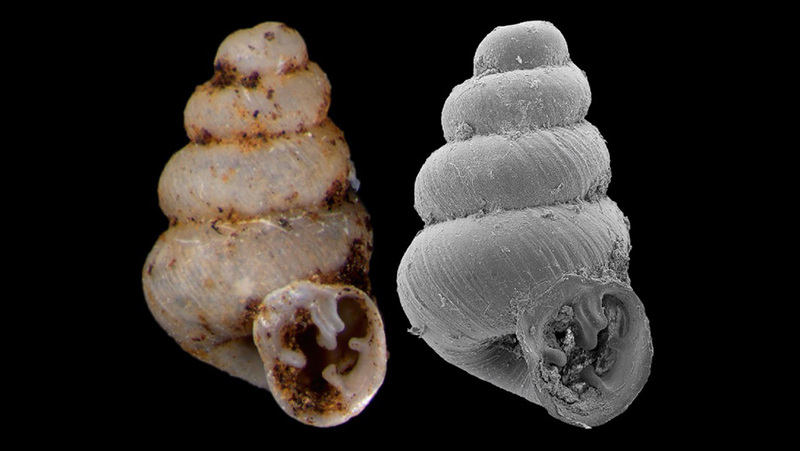 Moreover, since cave-dwelling invertebrates, in general, receive scarce attention from researchers, it should come as no surprise that cave-dwelling snails are even less known.